We should also touch on how the game works outside of the single-player campaign. Gas Powered Games wanted Dungeon Siege to have more than just "Let's team up and all thrash the boss" multiplayer, so they implemented an open-ended game engine that allows for many custom scenarios and game parameters to be scripted in, not unlike Starcraft. To the outside viewer, Starcraft just has multiplayer Skirmish playability, but anyone who's played Death Race or Zerg Herding can tell you that it's a big load of malarkey. 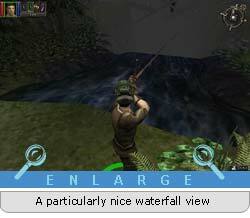 While Dungeon Siege contains few of these custom game modes out-of-box, you can be certain to find many custom addons for the title in future days, especially with the forthcoming Siege Editor release. Multiplayer matching is provided by Microsoft's Zone.com, and you can also play over LAN with up to eight players. I've never had any lag or clogged servers issues with Zone.com, as opposed to the notoriously finicky Battle.net servers. Gas Powered Games originally had planned to release Dungeon Siege with the Siege Editor available via the Internet at the same time of the release. However, a month later, it's still not quite out yet, though Chris Taylor has said publicly that there's a planned release date around the 5th of May. This should be excellent news for gamers looking to design their own campaigns for the game. Siege Editor contains several different components which are all of equal importance. First, there's Skrit, the Dungeon Siege scripting editor, purported to have all the power of Starcraft's event-scripting engine, and then some. Add in Siege FX, a lighting and effects generator, which allows you not only to create your own spells and enchantments, but also to dictate how they appear visually in the game. 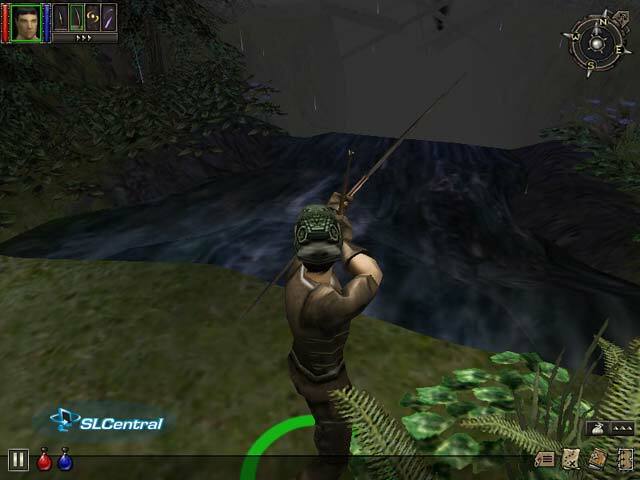 You'll also be making some use of gmax, a 3D Studio Max plugin that allows you to create game objects in said 3D rendering software, and export them to Dungeon Siege-native model packs. Definitely a boon for those of you used to manually editing mesh and texture files for Quake models. Of course, Siege Editor also has its own Terrain Editor and dungeon design tools, all of which allow you to create worlds just as big as the Kingdom of Ehb, or larger, should you desire to do so. Chris Taylor originally intended Siege Editor to match the popularity of Total Annihilation's open model, where players could create their own units and maps and exchange them freely. He's even gone so far as to establish basis relations with Microsoft's legal department for anyone who wishes to design a professional-level addon or total conversion to release for sale�so you don't have to worry about skirting the law to make a buck on your hard work.